Felix Kramer is an entrepreneur and lifelong environmentalist, concentrating on innovative ideas, events and businesses in energy and technology. 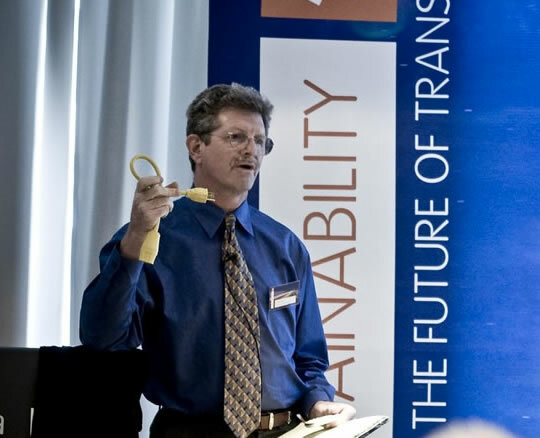 In 2002, he founded the non-profit California Cars Initiative and in April 2006 he became the world’s first non-technical consumer owner of a plug-in hybrid. In the 1970s, he was a legislative aide for a member of Congress and ran a nonprofit energy conservation services company. In the 1980s, he was an early desktop publisher and co-authored the first book on the business side of electronic publishing. He became involved with Internet ventures in 1994, as one of the first online marketers. In 1997, he founded eConstructors.com, the marketplace for web development services, and sold the company in 2001. Mr Kramer is a graduate of Cornell University.